Rainbow Honey The Final Battle Emerald Weapon, Hellfire and Soldier! Today I have a treat for you! Rainbow Honey just recently released a new collection, The Final Battle, and I've got three of the colors right here! I must admit that I'm not really a video game fan. I mean, I generally know about video games and things in them, but I guess I don't pay attention to them :) haha So, for this, I know there's a Final Fantasy game/movie/whatever franchise, but I can't tell you a thing about it! So let's just dive right into the polish, huh? 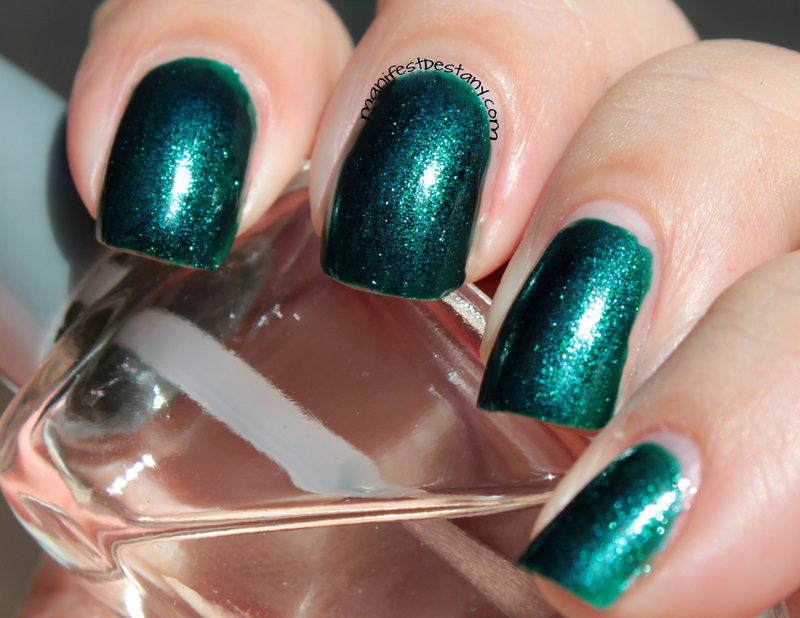 First up is Emerald Weapon, a gorgeous green shimmer. It really looks beautiful in the sun. 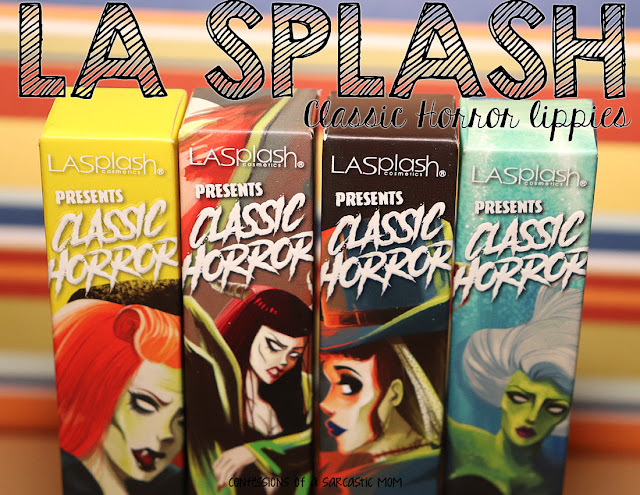 Application was great - the formula was super nice for a shimmer. I find that most shimmers either tend to be thicker because of the shimmer itself, or on the thin side because the base is thinner to have the shimmer come through. Next we have Hellfire. I just love that name haha There's a book by my favorite author, John Saul, with the same name :) This is a packed glitter topper that looks like fire! I put this glitter over white. For the pinky, I used a pretty thin coat of the glitter, and worked my way over with thicker coats. I think I like the "less is more" approach with this, but I imagine it could be okay on it's own in a couple coats. The last I have to show you is Soldier. I used this over a dark blue creme polish. 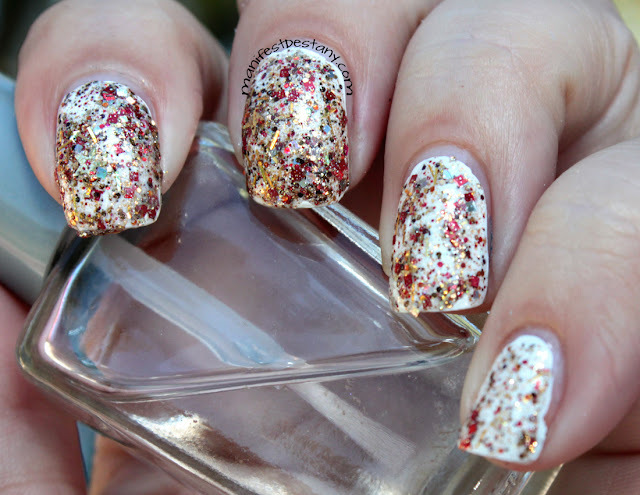 This is a very versatile polish - I believe it can be used over just about any color imaginable. I chose blue because I LOVE the way blue looks with silver or pewter or greyish settings. 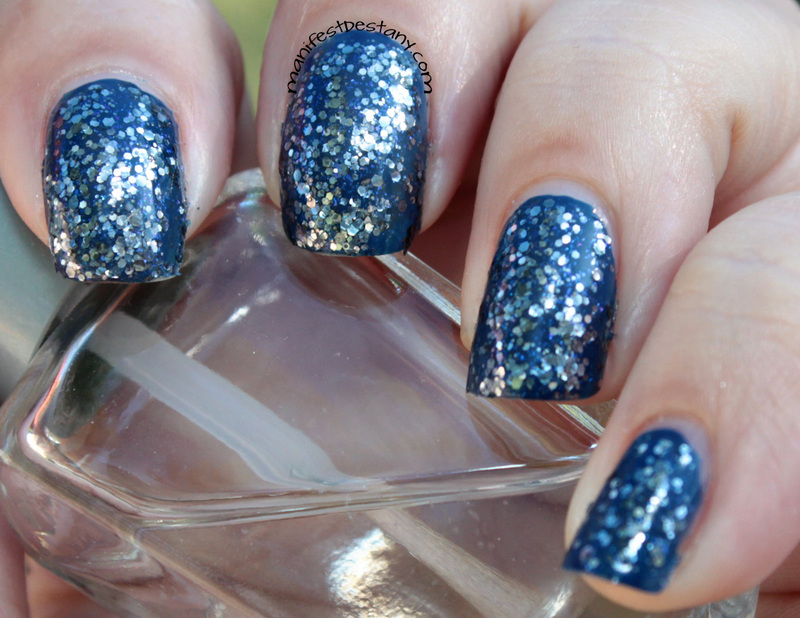 This glitter is very packed - pictured is one coat over the blue! Do you have a favorite? Of these three, I'm quite taken with Emerald Weapon. I love the way it glows!!! You can find Rainbow Honey at these retailers, or on the Rainbow Honey website.